As a leading supplier of packaging and wrapping paper machinery, Leizhan can provide state-of-the-art paper machinery and customized packaging making solutions for paper plants. Leizhan packaging paper manufacturing solution contains two parts: packaging paper stock preparation system and packaging paper making machinery. Machines required in the Packaging paper stock preparation system includes: D Type Hydrapulper, High density cleaner, Mid consistency pressure screen, Reject separator, 1st stage Low density cleaner, Mid consistency fine pressure screen , Inflow pressure screen，etc. 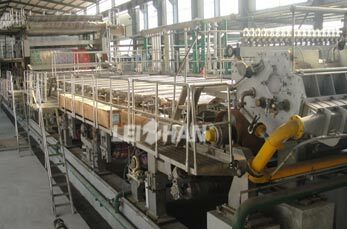 The packaging paper manufacturing equipment supplied by Leizhan has a basis weight range of 60-150g/m² and a basis width range of 1575-5800 mm. It has a production capacity range of 15-500 tons per day with the operating speed range from 100 m/min to 800 m/min. Leizhan take science and technology as the guide, good product quality as assurance, with the sincere service at your back, provide high quality and low price complete sets of pulp and paper production equipment to the user.